Description: If you’re an avid adventurer you’ve probably know about the Forgotten Shore. It’s that lonely stretch of beach on Krawk Island that presents Neopians with the chance to pick up items of considerable worth. But all this begs the question; if there is a cache of hidden wealth on this shore, is it really forgotten? Description: But as the Faerie Festival approaches it’s time to begin to celebrate the Faeries and all they do to aid Neopia. But amongst the Space Faerie, Fountain Faerie and all the rest there is one faerie that frequently goes overlooked. Description: In the heart of the Neopian shopping district is Kauvara’s Magic Shop. 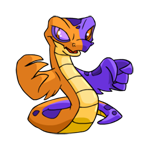 The owner and shopkeeper of Neopia’s most popular Magic Shop is the titular Kauvara. Kauvara works tirelessly to open the doors of her shop each morning and provide Neopian consumers with top quality magical items and potions. Description: The Faerie Festival is still approaching and there’s still time to take a look at one special faerie. On the very top of Terror Mountain is an igloo that is home to Taelia the Snow Faerie. She is by no means unknown but she is one of the most mysterious faeries in Neopia. Description: Just like the nature of her business Tarla remains a bit of a mystery. An enigma of an Ixi on the top of the mountain. So, I braved the snowy peaks and harsh winds of Terror Mountain to sit down with Tarla for an interview. Description: Neopia Central is the bustling heart of Neopia, it is the center of commerce and the gateway through which we all entered the Neopia world. It is often taken for granted but Neopia would not be where it is today without the bright and friendly attitude the city offers to us all. Description: “You’re on your last year of school and you still haven’t chosen your element.” There it was. Erana winced as the words came out of the Counselor’s mouth.